With Arrow and The Flash being huge hits on the CW, word is going around that a new show is in development to bring together some of the recurring characters. The new project would premier next season on the CW. The new show, coming from Arrow’s creators, would bring together actors Brandon Routh, Victor Garber, Wentworth Miller, and Caity Lotz. In other words, the new team would so far include The Atom (Ray Palmer), Canary (Sara Lance), will be Firestorm (Martin Stein), and Captain Cold (Leonard Snart). With other characters still debuting and characters going to be heroes or villains on the two shows, it is highly probable that more characters will be added to the roster by the time the show premiers. One note to get extra excited about, Deadline is reporting that the show will also feature “three major DC Comics characters who have never appeared in a TV series.” Assuming The Flash and Arrow are the tv series being referenced, could we possibly see Booster Gold, John Stewart, Hawkgirl, Hawkman, or the Martian Manhunter himself appear? 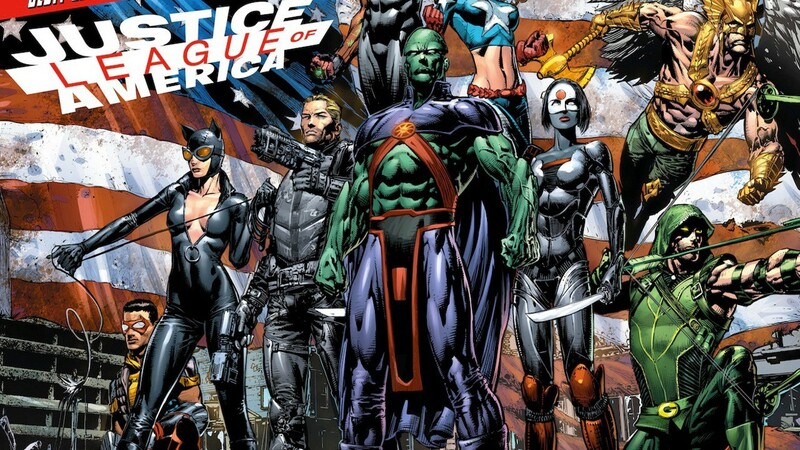 Could this be a new version of the Justice League of America, the Justice League International, or the Justice Society of America? Hopefully some official news will come our way soon.